The MAX® 115 bass combo amp delivers more bass in a space saving package. Peavey's exclusive HyperVent™ technology pushes bass through specially designed ports allowing the woofer to respond to its full potential. 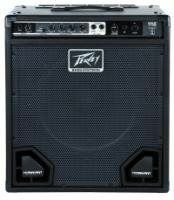 With 60 Watts of power that includes DDT™ speaker protection and a 15 inch heavy-duty woofer, the Peavey MAX® 115 is great for plenty of gigs and rehearsals. Another Peavey exclusive is the patented TransTube® circuitry that offers you a choice of three separate voicings MAX, Vintage and Modern each capable of emulating its own distinctive sound. The onboard semi parametric EQ offers some intense tone shaping with controls for low, mid, mid shift and highs. 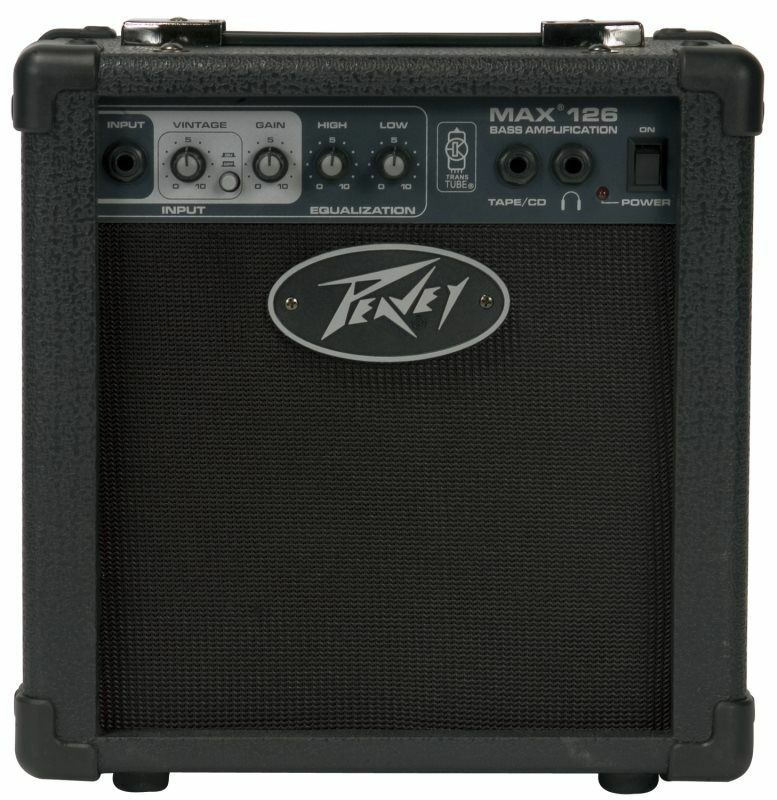 The Peavey MAX® 126 is our most compact and affordable bass amp and features Peavey's exclusive TransTube® circuitry. The MAX® 126 has a selectable Vintage gain control that allows you to change the tone from modern sounding to vintage. With 10 watts of power and a Peavey 6 1/2 inch speaker, this makes the perfect bedroom amp. For your convenience we've added a headphone output, CD input and low and high EQ controls.